Southeast Asia’s booming economy offers tremendous growth potential, but also large and interlinked economic, social and environmental challenges. The region’s current growth model is based in large part on natural resource exploitation, exacerbating these challenges. This report provides evidence that, with the right policies and institutions, Southeast Asia can pursue green growth and thus sustain the natural capital and environmental services, including a stable climate, on which prosperity depends.Carried out in consultation with officials and researchers from across the region, Towards Green Growth in Southeast Asia provides a framework for regional leaders to design their own solutions to move their countries towards green growth. While recognising the pressures that Southeast Asian economies face to increase growth, fight poverty and enhance well-being, the report acknowledges the links between all these dimensions and underscores the window of opportunity that the region has now to sustain its wealth of natural resources, lock-in resource-efficient and resilient infrastructure, attract investment, and create employment in the increasingly dynamic and competitive sectors of green technology and renewable energy.Some key policy recommendations are that these challenges can be met by scaling up existing attempts to strengthen governance and reform countries’ economic structure; mainstreaming green growth into national development plans and government processes; accounting for the essential ecosystem services provided by natural capital, ending open-access natural resource exploitation; and guiding the sustainable growth of cities to ensure well-being and prosperity. 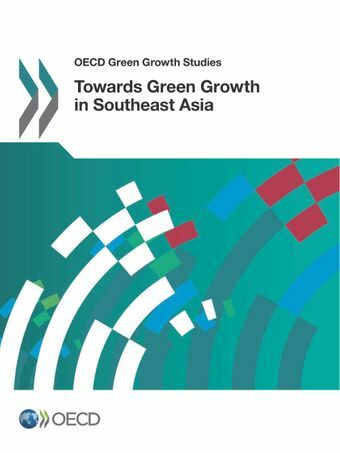 Towards Green Growth in Southeast Asia was launched on 11 November 2014 at the Asia Low Emissions Development Strategy Forum in Yogyakarta, Indonesia.